Group racing returns at Randwick, and our Sydney pro Nathan Snow has done the form for the main race. After an extended break we’re back to Randwick for Villiers Day and, like clockwork, the weather gods have let loose to ensure a heavy track for a feature day there. The rail in the true position should see them coming to the middle part of the track at least, with the possibility of them coming even wider later in the day. The Villiers itself is an intriguing race this year with plenty of different form lines and interstate runners thrown into the mix. The wet track adds another layer and so does a map that seemingly suits the main chances here. FABRIZIO likes to lead and looks to get control here with DIBAYANI and HIGH MIDNIGHT likely to get great runs tagging next with all other runners lacking natural speed or looking for a trail. FABRIZIO is the favourite in early markets and entitled to be. It did a good job racing through the grades before a much talked about run in the Epsom, when it hung on very well after setting a suicidal pace. It then showed it survived the run with two dominant wins in weaker grade. The main things against ithere are 46 days off into 1600m, on a heavy track. Wet weather is a query too, as the heavy track runs have been at Canterbury which is a world of difference from the heavy at Randwick. So despite being the top pick, it actually looks a shade unders currently. DIBAYANI ties in well to FABRIZIO form wise here, and therefore looks to represent the early value. It did a good job finishing second in that Epsom, which is a clearly superior race to this. The start before was a strong second on a heavy track here, so there’s no qualms with the wet. He’s always run well in Sydney and maps perfectly, with the main drawback being 49 days between runs. HIGH MIDNIGHT is coming out of weaker races, but ticks a lot of boxes here. 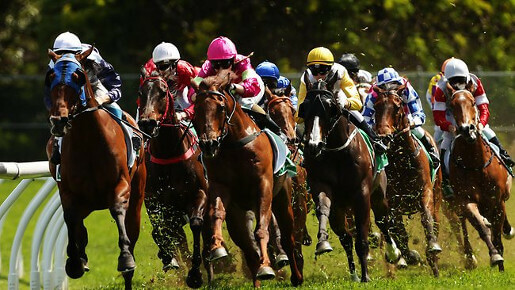 It maps to get the perfect run and has shown a liking for the Randwick heavy. Backing up after a strong win up on a solid pace seven days ago and looks set to peak here, third up at 1600. They look the clear winning chances for mine. Best of the rest is PAJARO who did a very good job second up and handles wet, RUDY who is talented with a turn of foot and loves the wet, and AMOVATIO who is racing well, but has gate one tomorrow which won’t suit.